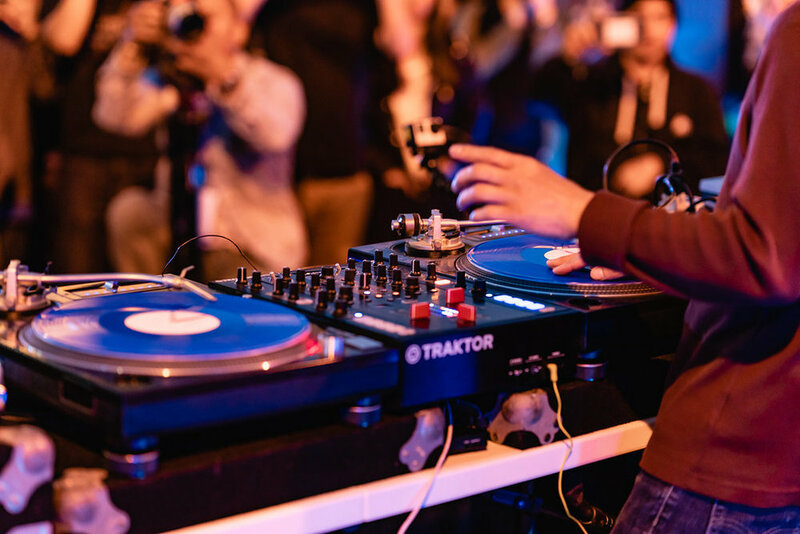 Undiscovered SF opens for its 2018 season featuring two of Filipino America’s most enduring and well-known acts: DJ QBert and DJ Shortkut. Alone, QBert and Shortkut’s appearances would certainly qualify as headline-worthy. But in the context of the SOMA Pilipinas Cultural Heritage District, these performances by Bay Area heroes mark a reinforcement of the considerable momentum that’s seeing Filipino projects and Filipino culture gain real visibility and recognition in the current zeitgeist. “Growing up around here, every time I went to Natoma Street there would just be hella Filipinos there. And my great-grandfather, he owned a record company in The Philippines, and sometimes I feel like I’m his reincarnation. So in that way, I feel blessed to be a part of something like this that’s in the SOMA and that’s so focused on our people,” QBert says. DJ culture is certainly one of the most recent examples of Filipinos making their mark in American society, and both QBert and Shortkut are established veterans of the game. In many ways, the early days of Hip-Hop in the Bay Area — and the influence that Filipinos enjoyed in that burgeoning scene — mirror what’s happening with Filipino and Filipino-American cultural output in the present day, especially with food. “I grew up in the DJ culture, the mobile sound system era. And it being predominantly Filipino, I just thought it was a Filipino thing to become a DJ. I never thought it would become my job. So I think it’s beautiful that Filipinos are getting a lot of notoriety in lots of different industries, doing what they love — the arts scene, the food scene, cats are just taking it upon themselves to open their own spots. And we know that it’s nothing new, that our people have been doing it for years, but it’s good that we’re finally getting that recognition. That’s why someone like Q is so important — he’s like that big brother that helps people along, and it’s good to see that community building happening in other areas too,” Shortkut says. QBert is especially excited about Undiscovered SF’s gathering of wholesome, consciously-minded Filipino eateries that emphasize quality ingredients. In this way, Undiscovered SF isn’t just another festival gig for QBert, but a space for generational learning and healing about who Filipinos are as a people — a space where diverse communities can unite around music, food, and a spirit of togetherness that aims to help everyone feel healthier and happier with who they are. “The food situation is getting more advanced, getting more futuristic. People are becoming more conscious of organic food and free-range meats, and sustainable food, and all the bad oils and processed foods that our people have been using for years. But now our people are waking up and we’re re-learning that our coconut oil that we have in The Philippines are healthy for us. And all these new folks opening Filipino spots can say ‘Yes, we’re doing things all natural, we’re using good ingredients,’ so it’s really exciting to see,” QBert says. In the same way, Shortkut — so named for not being tall enough to operate the decks when he first started DJing — appreciates the significance of an event like Undiscovered SF within the special boundaries of the SOMA PIlipinas Cultural Heritage District. A regular visitor to The Philippines, he’s experiencing firsthand the truly global movement that’s seeing Filipinx people engage in creative output across all forms of expression. “I’m honored to do this, being from the Bay and being Filipino. For people to be able see other Filipinos, people who look like them, it’s huge inspiration. So I’m proud to be a part of that. And I go to The Philippines almost every other month, and seeing how that scene growing in parallel with how we’re growing in the states, it’s refreshing to see that entrepreneurship is becoming almost a norm now, for our people. Really dope,” Shortkut says. It might be easy to get caught in the hype of household names like QBert and Shortcut — and no doubt that’s part of the appeal for Undiscovered SF’s bill of performers for its August debut. But to do that would be to miss the point entirely of the Undiscovered SF Night Market: it’s certainly a party, but it’s a party that celebrates a people who are growing together into their full power as a community. And as a community that’s diverse in countless ways, sharing gifts of music, food, and culture with one another are the surest ways to strengthen the bonds of family and friendship that will sustain long-term growth and security as Filipinos in America.